It's the same complaint over and over for mill and lathe owners; "The Sherline OEM motors are good for light hobby work, but not much else". They are simply under powered and inefficient compared to brushless. Those who use them for high speed work seem to have the biggest issues. That being overheating after short use. These are the very reasons we ended up engineering our own motors. Once others caught on to our motors, we've had a hard time keeping them in stock. We decided to offer two different powers. There's the 750 Watt & 1200 Watt version (both are available in 110 volt or 220 volt). 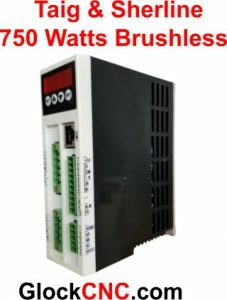 The most popular is the 750 Watt model. However, some have learned through there experience that they would rather have the extra power in reserve and get the 1200 watt. Which I totally understand. The nice thing is, even those who must have the 1200 watt version can rely on using them all day long. Customers use both models 24/7 non-stop in some cases. The other big thing that needed to be addressed is the issue of CNC control. 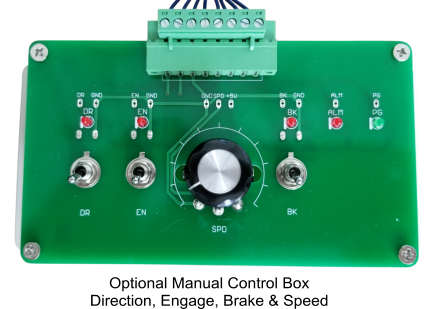 When we set out to design a better motor driver, this was a must. 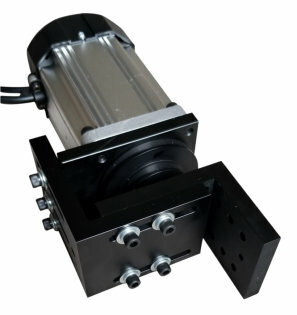 You'll get a motor with PWM and 0-10v speed control capabilities. 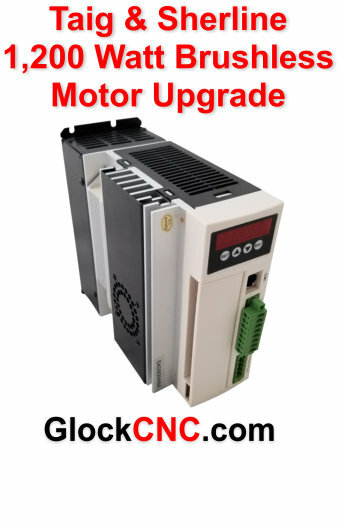 For more information, go ahead and check out the page in the menu about our motors! No modifications needed for Sherline or Taig to mount (or course, it mounts directly to our Heavy Duty Headstocks as well).